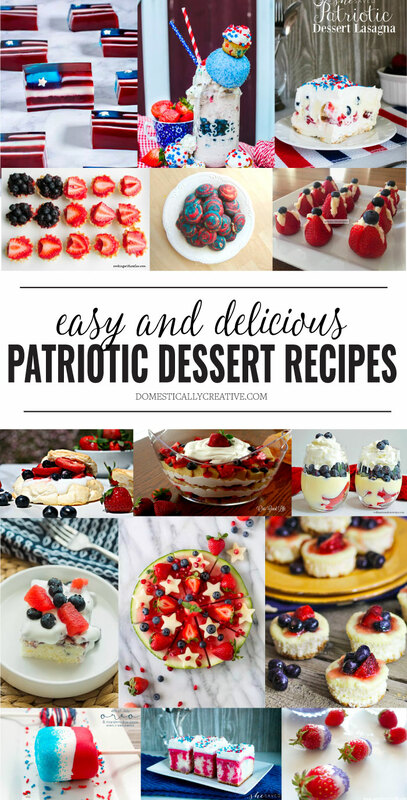 Get ready for your Fourth of July party with all of these creative, delicious, and easy to make patriotic dessert recipes. Patriotic Mini Cheesecakes | Kleinworth and Co. Thank you so much for including my swirl cookies! No w i have to try my hand at making those adorable jello flags. Those are so cool! Thanks for including my two bite berry pies! Have a great week!